The nominations for the 4th annual Irish Film and Television Awards have been announced. Read more for the full details. Middletown, which starred Matthew Macfadyen, was shown in only four cinemas and generated €14,800. Irish cinemagoers turned out in droves to lap up Hollywood blockbusters last year, but locally made films failed their big-screen test. Despite the government giving more than €40m to the film industry, Irish movies took only €5m from the country’s €104m box-office bonanza. I found a bunch of reviews of Middletown scanned into a pdf file from an official source. Since it's a pdf file I'll upload it to the gallery for viewing. 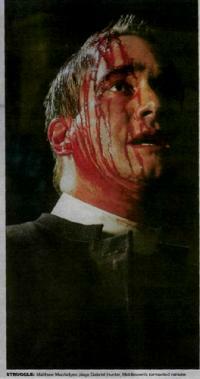 Among the reviews was this upsetting image of Matthew as Gabriel. Edit: 6point7 has been amazingly kind to fiddle with the quality of the scan. Thank you so much! 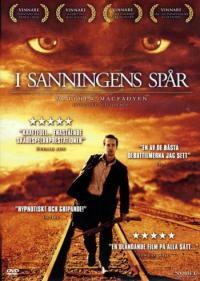 Mrs Q has found the cover of the Swedish DVD of In My Father's Den. Notice only Matthew has his name on the cover and it's primarily his image. It will be availble in Sweden on 17 January, 2007.